Robert Louis Stevenson’s The Strange Case Of Dr. Jekyll And Mr. Hyde continues to be one of the richest resources for storytellers looking to make a point about the evils that lurk in ordinary man, while at the same time being totally free to rip off, thanks to its public domain status. It’s that inherent duality that’s made it attractive to ABC, who’s developing the “contemporary interpretation” Hyde with Up In The Air co-writer Sheldon Turner. In keeping with their own split personalities that’s seen networks clinging to their straitlaced legal and medical procedurals and just sticking fairy tale creatures, ghosts, and Frankensteins in there out of dark impulses, Hyde will follow Grant Hyde, a thirtysomething ER doctor whose recent experimental eye surgery leaves him with an unexpected side effect that you can probably guess if you are a human being with even a passing familiarity with literature, or quite possibly if you are an old redwood that’s just been around the Earth long enough. Indeed, as the readers and sequoias know, Hyde finds that whenever he goes to sleep, a new, far more confident guy takes over and does all the things that the hesitant-guy-who-nevertheless-had-the-gumption-to-become-a-doctor can’t do for himself for some reason. The show’s premise of the “odd buddy show where the buddies happen to be the same person” most recently formed the basis of NBC’s short-lived My Own Worst Enemy with Christian Slater. 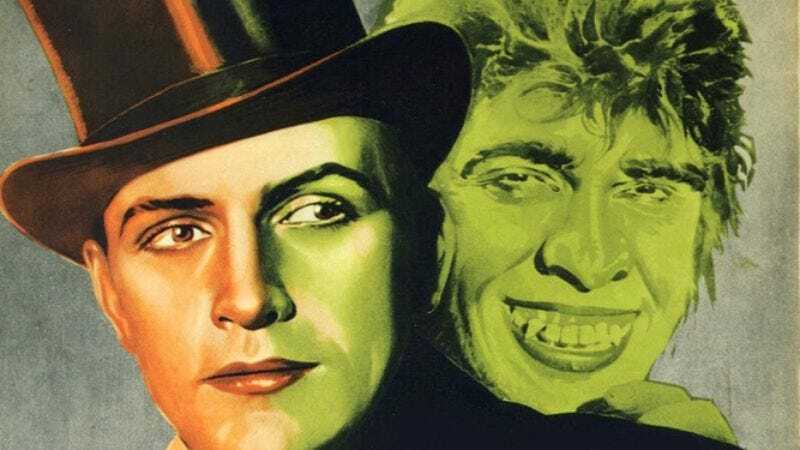 But of course, even before that the Jekyll And Hyde mythology had already gone through more than 100 different film and TV mutations, and every time we vow to stop, another transformation comes along to overtake us.